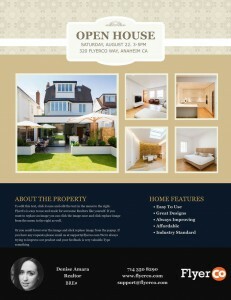 Are you hosting an open house? If so, it’s critical to design winning open house flyers to help ensure you have as many of your target buyers in attendance as possible. In this article, we’ve also included a few bonus tips to help you with digital advertising, so you can boost engagement even further — and close sales. 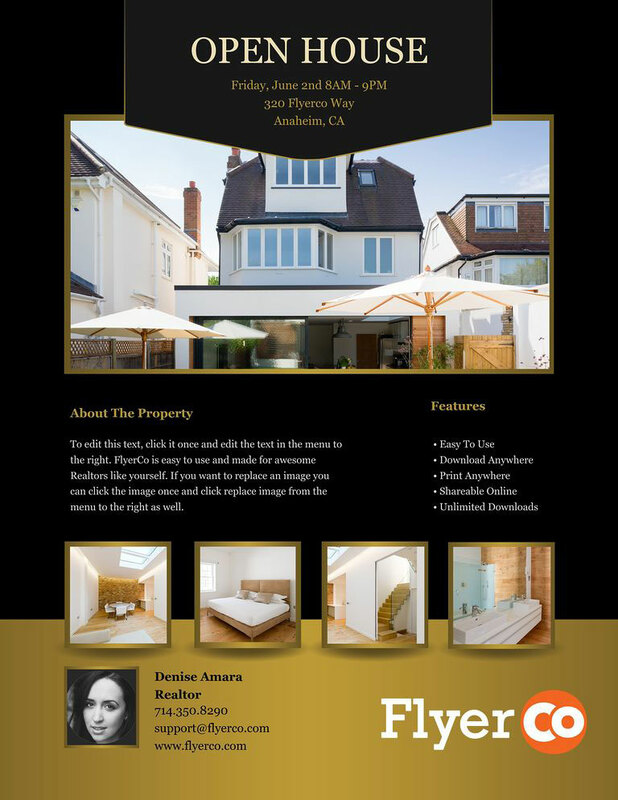 All of our flyers can be customized easily using the tools on FlyerCo. 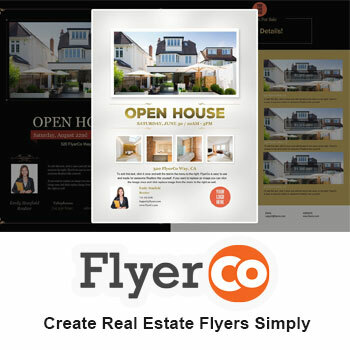 Customized flyers can then be downloaded to your computer for printing or sharing online through email blast sites such as www.FlyerUs.com. We’ll soon be offering our own flyer and postcard printing service, so stay tuned. Before you market your event, make sure you’re reaching the right audience. If you’re missing your target buyers, you could waste a lot of time and money on your advertising. 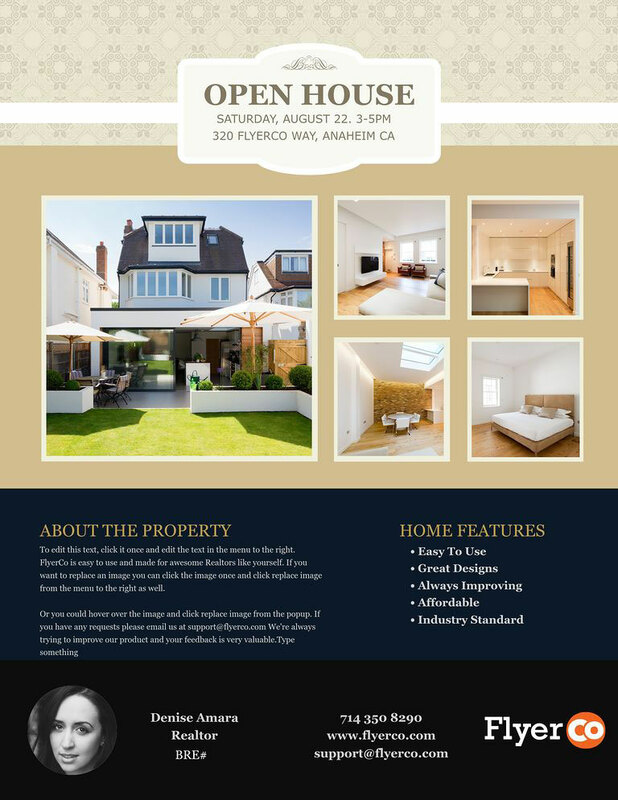 Before you publish a real estate flyer, distribute a video, or make a social media push, do some deeper audience research. Figure out what your potential buyers are specifically looking for, what they can afford, and then craft your messaging to support them. You can begin with a simple tool like BuzzSumo, which has a question analyzer feature that allows you to comb through the most popular questions potential buyers might be asking in online forums, e-commerce sites, and more. 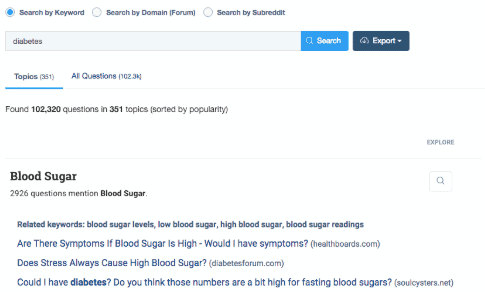 While these example from BuzzSumo’s site are about personal health, you could also query certain home features, price ranges, or financing options. These answers can help you anticipate the questions your home buyers might ask and help you prepare helpful answers. In Q4 2018, Facebook had 2.32 billion monthly active users. Although Google and YouTube are slightly ahead of Facebook as the world’s most visited sites, it’s still a huge surface area for attracting your target audience. 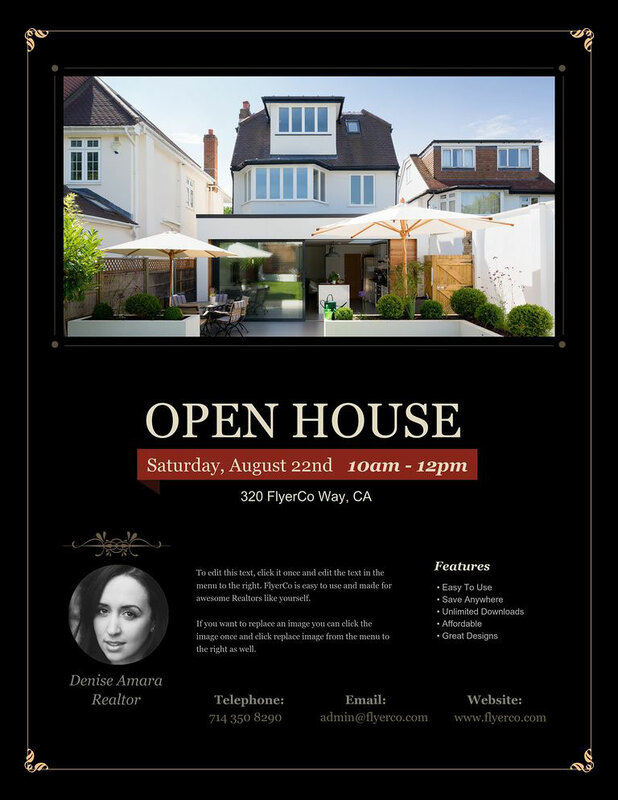 If you want to take your open house advertising to the next level and have some ad spend in your budget, consider a Facebook campaign ahead of the event. Select an ad format that speaks to your target audience. Be deliberate when crafting your ad copy and images prior to launch. 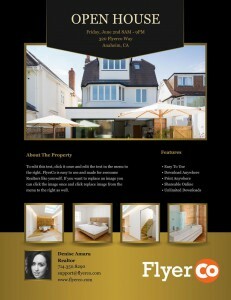 Make sure your words resonate with potential buyers. Facebook’s business page has even more in-depth information and tutorials to help you understand and launch your perfect Facebook campaign ahead of your open house. In 2018, Renderforest data concluded that 78% of users boosted their website traffic with video. It also helped generate leads and sales. To create video content that stands out, try video software like Wistia. Their Soapbox feature is a simple Chrome extension that allows you to make sleek, professional sales videos in minutes! If you want to edit your video after distributing it, Soapbox still allows you to make automatic updates across platforms and devices. You can also work a Facebook Live video into your social media content. According to Facebook, users spend more than three times longer watching live videos than non-live videos. It could be the perfect tactic to give your campaign a boost. There you have it. 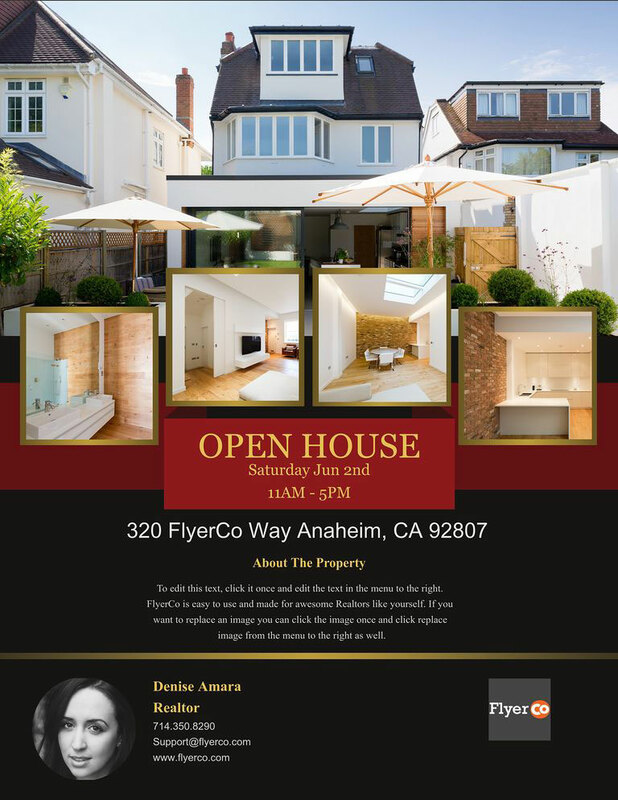 Tips for getting started with beautiful and strategic open house flyers — as well as digital marketing strategies to help you host a successful open house. Questions or comments? Add your thoughts in the comment box below, and we’ll reply as soon as possible.